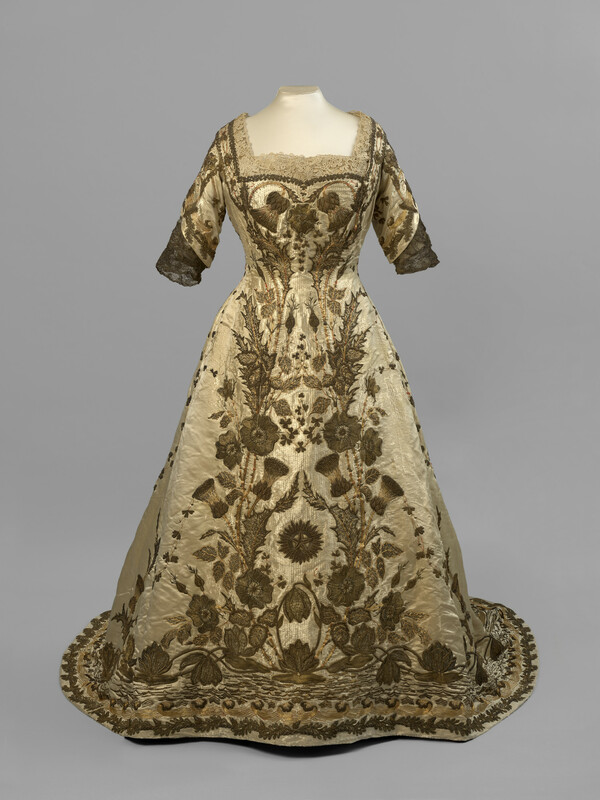 Queen Mary's coronation dress with a princess line cut, cream silk satin, self lined, squarish neck, 3/4 sleeves with lace trim and chiffon lining; heavily embroidered and beaded throughout. 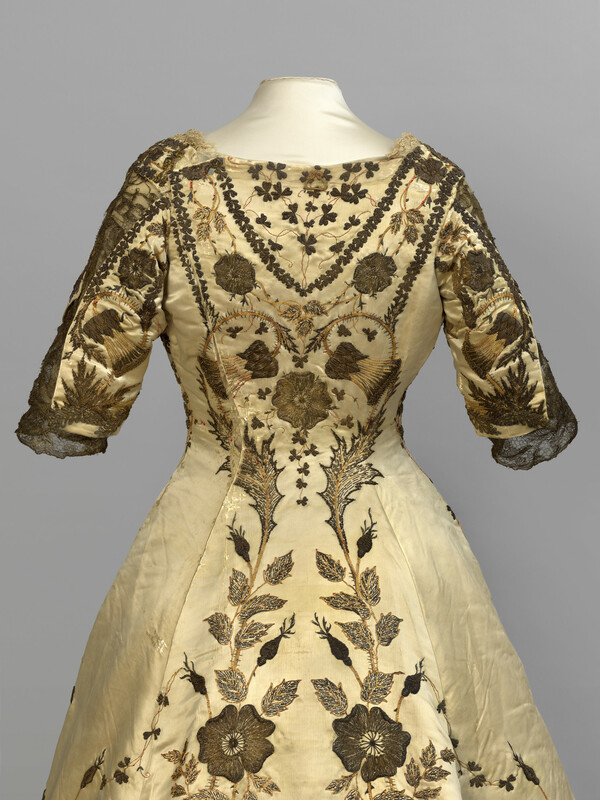 The Princess Louise Needlework School in Sloane Street used gold thread to embroider a pattern with the English rose, Scottish thistle, Irish shamrock, star of India, lotus of India and English oak leaves and acorns. The dress has a wave pattern at the hem which dips at the back to form a train. 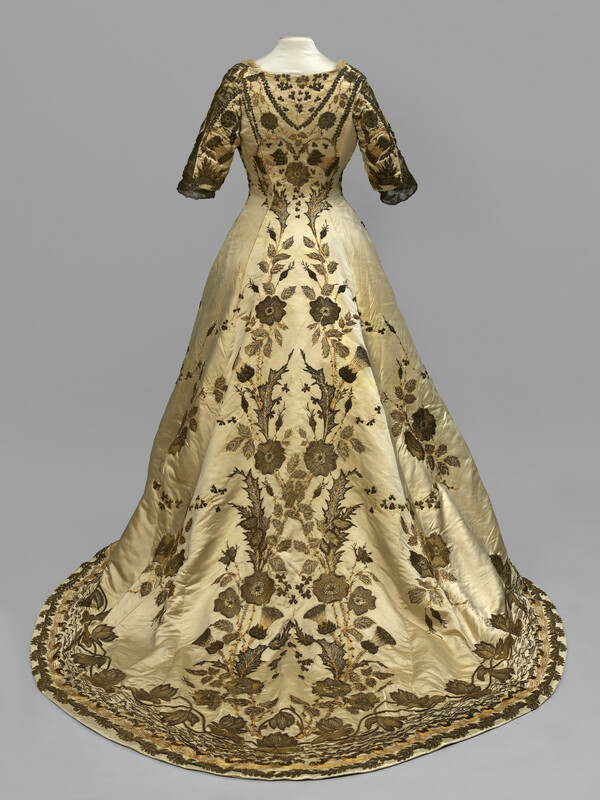 Reville and Rossiter was a London couture house made court dressmaker to Queen Mary. It gained the royal warrant in 1910 and in 1911 designed the queen's coronation robe. By the 1930s they were no longer in business.